We’d love your help. 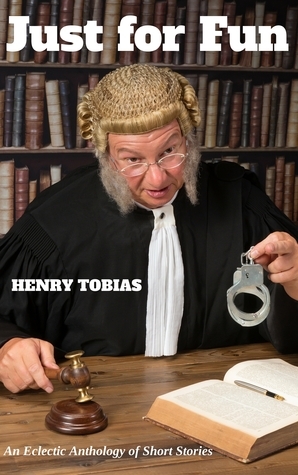 Let us know what’s wrong with this preview of Just for Fun by Henry Tobias. 'Just for Fun' is an anthology of short stories, some fiction, some faction, some autobiographical, but always interesting. The book is a mix of humour, pathos and a little bathos. The author called the book “Just for Fun’ for two reasons. Firstly because that is the lead story and secondly because writing is fun—lots of fun and hopes that the reader has fun reading the bo 'Just for Fun' is an anthology of short stories, some fiction, some faction, some autobiographical, but always interesting. The book is a mix of humour, pathos and a little bathos. The author called the book “Just for Fun’ for two reasons. Firstly because that is the lead story and secondly because writing is fun—lots of fun and hopes that the reader has fun reading the book. The author was born in London, England and grew up in Johannesburg, South Africa. For the last 35 years influenced by the effects the Holocaust had on the Jewish people and by Zionism he has lived in Jerusalem, Israel. Antisemitism and the events occurring recently in Europe, particularly in France, have endorsed the author’s convictions. Humour is important, we cannot live without it. However humour is not always universally understood, but the author has tried to keep the humour simple and it should translate into all cultures. Some of the stories were triggered by real life, like ‘The Man in the Plastic Mask’—the author suffers from sleep apnea. The author's beautiful granddaughter inspired ‘Abigail’s Notebook’. The author is a hopeless romantic—no one is too old to fall in love—hence the story ‘Ambushed’. Over the years the author has worked in the healthcare industry, and an incident many years ago gave rise to, ‘Black Heart and Purple Hearts’, ‘All’s fair in Love and War’, ‘Bedpans and Bandages’, and’ Limehill - South Africa’. South Africa inspired many of the stories, especially, ‘Julia’, ‘Moses’, ‘Olga’ and ‘A Jew goes Forth’. To ask other readers questions about Just for Fun, please sign up. 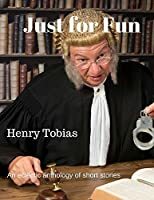 This collection of fictional stories and memoir is called 'Just for Fun' and can certainly be read in that way, providing a pleasant experience for readers. But many of these little gems contain important messages about our world, influenced by the author's beginnings in apartheid South Africa. I particularly liked the stories about Moses and Miriam. Possibly, it is no coincidence that these two are biblical siblings. I enjoyed the homey and warm insights into life in South Africa. The author's descriptions are often penetrating and captivating, providing perspective and entertainment at the same time. Issues such as family and identity are explored from the author's unique vantage, making this book both readable and thought-provoking. I enjoyed every minute. Thanks to the author I have had an opportunity to meet many people and visit many places that I would never had the chance to come into contact with otherwise. The variations in the stories kept me interested and reading on. I was born in London, England, but in 1947 aged 15 months my parents took me to Johannesburg, South Africa, where I was raised. I attended King David Schools, a Jewish day school, from kindergarten to matriculation. I was a member of various Jewish Youth Movements and this instilled in me a strong Zionist belief. I married in 1971 and in 1979, I made aliyah (immigration) to Israel with my wife and I was born in London, England, but in 1947 aged 15 months my parents took me to Johannesburg, South Africa, where I was raised. I attended King David Schools, a Jewish day school, from kindergarten to matriculation. I was a member of various Jewish Youth Movements and this instilled in me a strong Zionist belief. I married in 1971 and in 1979, I made aliyah (immigration) to Israel with my wife and two older children. Our youngest child was born in Israel in 1989.